…believe in man-caused global warming,” is a common refrain by the panic pushing “We’re all gonna die!” people, but this is nonsense. The story began at Scripps Institute where “CO2 causes global warming” was created by Dr. Roger Revel, who later denied the concept shortly before he died, but it was their Science Librarian, Naomi Oreskes, who created “97%” from a study where she had undergrad students tabulate 928 articles from their collection of science journals. She instructed them to score those with no conclusion whether or not man’s CO2 was the cause of the claimed atmospheric temperature increase to be in favor of the hypothesis on the assumption that not expressing a negative opinion meant they were believers. It is amazing that in the 29 years of this controversy only one person has proposed an experiment to determine whether or not more CO2 causes air to absorb more infrared heat, “IR,” energy. That it can be shown so easily that CO2 does not heat the atmosphere, but chills it confirms this issue was never about science. It has always been about money and power. Having heard “97%” many times we went in search of it expecting a reference to Dr. Naomi Oreskes, Librarian, Scripps Institute, whose 2004 study concluded “There is a consensus among scientists anthropogenic global warming is real,” she claimed from a survey of 928 peer-reviewed abstracts on “global climate change” journal articles between 1993 and 2003 from the ISI Web of Science. Oreskes survey did not find a single paper rejecting the concept, but a suspicious Dr. Ben Peiser, of Liverpool, John Moores University, UK, examined her work, found it had been done by students, which is forbidden for publication, and there were 12,000 abstracts not 928 in the ISI! Dr. Oreskes students were to choose only those abstracts supporting a positive conclusion, thus committing original sin in research. For a rare time in their history the editors of SCIENCE published an erratum stating Oreske’s standards were not acceptable. 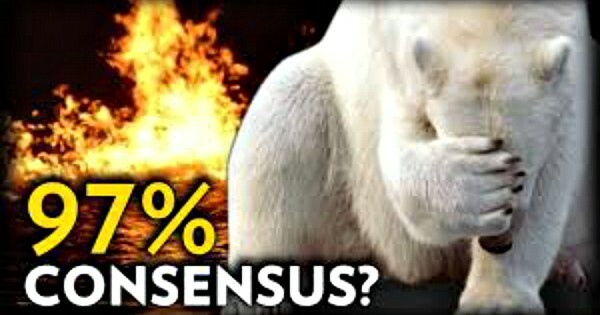 Further examination by Lord Monckton revealed less than half of the 928 articles agreed with Oreskes’ “consensus” claim and she did not say “97%” her actual quote was, “…only 3% do not think…” From where did “97%” come? In 2008 U of I grad-student Margaret Zimmerman claimed to have polled 10,257 members of the American Geophysical Union, Earth scientists. She claimed 3146 responded to the survey that was the basis for her “97% consensus” claim. 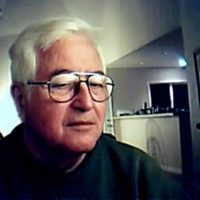 The Doran/Zimmerman article documentation once appeared at: http://tigger.ulc.edu/~pdoran/012009_Doran_final.pdf, including their justification for removing all but 79 respondents. It has since been removed in an act of censorship. Ms. Zimmerman very likely only mailed about 100 questionnaires and to people with hiring authority as she was looking for a post the full list would have cost her over $15,000 for printing, list, postage and tabulation of the claimed 3146 responses. The 100 department Chairs she mailed to would be very aware of from where the money comes and teach “Earth is flat” if their jobs depended on it. None would be questioning the anthropogenic warming hypothesis as it is a full employment program for thousands of Ph.D.s. This “study” was widely reported by CNN and Frontline. They only referred to the 10,257 person sample and not the 77 person edit actually used when in fact 99.3% of those queried did not agree man causes climate change.